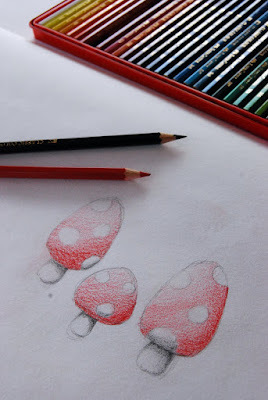 Finally got a chance to try out my new Faber-Castell pencil crayons with this mushroom drawing. The quality of the pencil crayons are fantastic! Off to doodle some more.